As organizations strive for continuous improvement, they seek professionals that can employ problem-solving and business know-how to enhance internal processes. 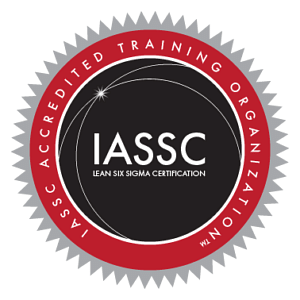 Lean Six Sigma positions you to take the lead in quality management projects, and interpret data strategically and statistically by deploying process mapping, risk management, and benchmarks setting skills. The value of this certification is not confined to large organizations but is widespread across multi-level organizations. This exam is conducted by IASSC in various centres. If you are looking to further your career development professionally and need a flexible course that can adapt to your schedule, then Simplilearn is a great resource at the right price. 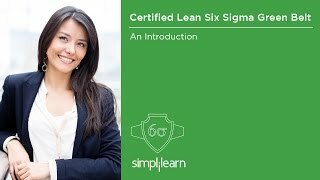 This is a very good introduction to Lean and Six Sigma concepts. The instructor took considerable effort to make sure the class was engaged and the concepts were understood. I have done the Certified Lean Six Sigma Green Belt from Simplilearn. It is one of the best places to learn with excellent trainers, support staff and updated course content which covers all the topics in depth. Its simulation test is good and it helped me to find out my weak and strong areas. The certification helped me to upskill myself from Junior Manager to Assistant Manager. Simplilearn is the perfect place to get ahead in life. Very clear and strong course, using visual concept and participation of other listeners...Pulling real-life situations and using them as examples is a great way to learn. More examples... more imagination... more ideas...And the idea of writing while doing presentation helps, as it gives wide range of visual effects. Thank You.